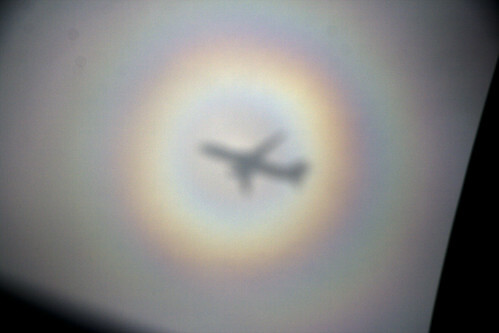 This one was going to wait, but I've just been informed that it's been made the Atmospheric Optics Photo of the day, with many thanks to Les at Atoptics. This was one of the clearest I'd ever seen with a very nicely defined double defraction pattern. See here for the partial explanation of the glory.